A MEETING of the ANZAC commemoration executive* was held in the Premier’s office on Monday evening last [ 6 March 1916 ]. 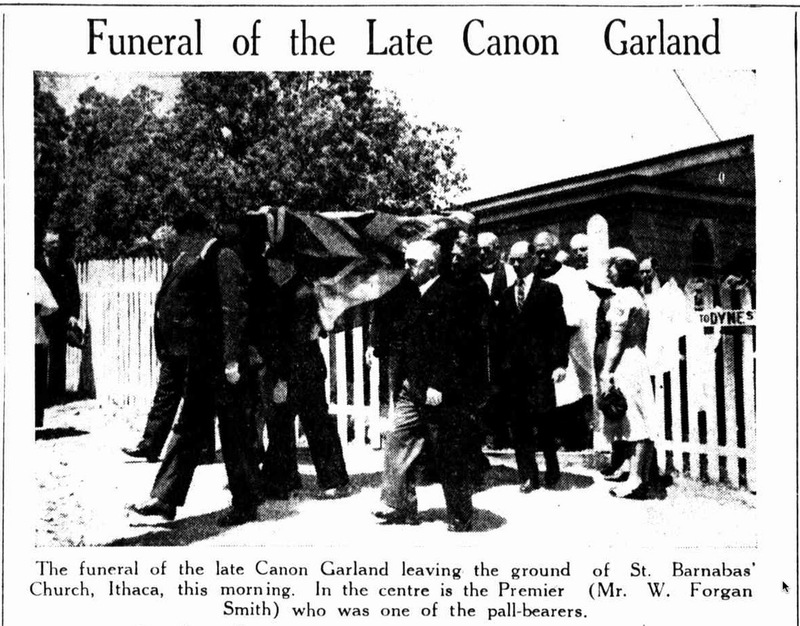 Canon Garland (hon. secretary) [ David John Garland ]. The report of the conference of the senior military chaplains with the District Commandant as to the military observance of the day was adopted. 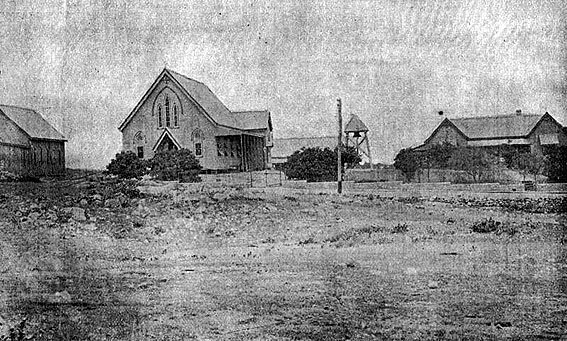 It provides that in the early, morning there shall be church parades held in the Enoggera camps for the soldiers in training; each of the four larger denominations to be allotted a camp to which the men of that denomination from other camps will be marched, the smaller denominations grouping together in a fifth camp. In the town each denomination will provide at 11 a.m. services in one church, at which returned soldiers will attend, and representative bodies of troops from those camps outside the Enoggera centre. These services in town churches for military attendance will be open to civilians, but will be in addition to any other services which the churches may provide. ABOVE: Brisbane was a small city even before thousands of recruits for the First AIF marched through the gates of Enoggera Army Camp in 1915. This item appeared in “The Sydney Morning Herald” of 13 April 1916 (page 11). It is anticipated that for the afternoon parade between 7,000 and 8,000 men will be available to take part in the march through the city. The head of the column will move off from Roma Street about 3 p.m.
At the General Post Office will be arranged stagings on either side of the main entrance, on which accommodation will be provided for returned soldiers. All returned soldiers who can march will be formed up and be followed by motor-cars carrying returned soldiers able to attend, but unable to march. Accommodation will be provided on the platform for such returned soldiers and a place of honour assigned to those able to stand at the saluting base. On the arrival of the head of the main column of troops at the saluting base, the column will halt for five minutes, at the termination of which the firing party provided will fire the usual volleys. The volleys concluded, “The Last Post” will he sounded by four buglers following immediately behind the band. This bugle call is to be taken up right throughout the length of the column by buglers attached to the various units. After “The Last Post” has been sounded the column will resume the march. The proceedings in connection with the afternoon parade have been entrusted by the executive to the District Commandant [ Lee ] and the Mayor of Brisbane [ Diddams ], the latter having undertaken to provide the staging necessary and will act as host to those invited to places thereon. A communication was received from Messrs. Milward and Henderson [ Colin Milward and James Claude Henderson ] (secretaries of the Returned Soldiers’ Association) [ sic, Returned Sailors’ and Soldiers’ Imperial league of Australia, see below ], expressing a desire to co-operate in the proceedings. This letter was warmly received, and the Association was requested to nominate a representative to the general committee. Discharged returned soldiers were asked to place themselves, through the Association, under military orders, so that a place might be found for them in the parade. It was decided a cablegram be sent to the Agent-General in England, requesting him to inform Australians there that Queensland was making provision for the observance of ANZAC Day. It was decided to adopt as a badge the Queensland crest with the Lion of St. Mark (April 25 being St. Mark’s Day), with the motif of Queensland “Audax et Fidelis”, as the motto. – from page 2 of Brisbane’s “The Daily Standard” newspaper of 8 March 1916. ABOVE: The scene as the first ANZAC Day march – consisting of some 8,000 First AIF personnel drawn from the various Enoggera training camps – progressed past the General Post Office building dais in Queen Street on 25 April 1916, at just after 3:25pm. Canon Garland, the Lord Mayor of Brisbane, Alderman Harry John Charles Diddams, and 1st Military District Commandant, Brigadier-General George Leonard Lee, D.S.O. – and other members of the inaugural *ANZAC Day Commemoration Committee (Queensland) Incorporated – mapped out a huge logistical exercise that involved the synchronisation of the playing of “The Last Post” by buglers attached to every regimental unit represented in the parade. The impression on the populace of Brisbane at the sight of this huge body of men-in-arms marching through the streets can only be guessed at. ABOVE: This image of the officials of the Returned Sailors’ and Soldiers’ Imperial League of Australia (Queensland Branch) appeared on page 24 of “The Queenslander Pictorial” of 24 November 1917 (page 24). It is from the State Library of Queensland’s collection. Pictured are: Front row: William Arthur Fisher (honorary treasurer); Lieutenant-Colonel Thomas Pye; Major Richard Henry Walsh; Chaplain-Colonel (retired) Ernest Northcroft Merrington, M.A., Ph.D. (president); Major William Randolph Eppes Sabine; James Claude Henderson; and Richard James Warren. Second row: Captain Herbert Mark Meadows Maddock; Sergeant-Major James Bell; Major Hubert Reginald Carter; Captain Isaac Jackson; Robert William Bodimeade; Sergeant William Forrest Stevenson; and Captain Eustace Royston Baum Pike. 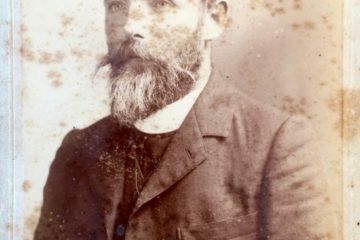 Third row: Arthur Henry Moss; Lieutenant-Colonel Joseph Espie Dods, D.S.O., M.C. ; Captain James Barton Walker; Hamilton Cuffe Jones; and Laurence Patrick Crowley. Back row: Benjamin Robert Bird (organiser) and Herbert Joseph Robilliard (secretary). A John Samuel Wiley photo.